« Congratulations to us — and you! Attention readers who knit and knitters who read! 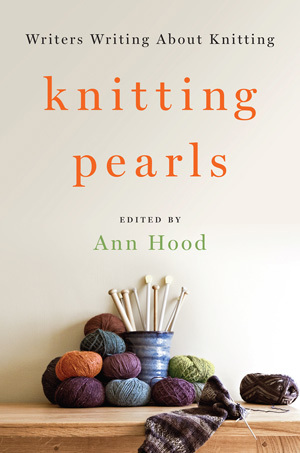 On Wed. Nov. 18th at 7 p.m. the Broadside Bookshop in Northampton will be celebrating the release of Knitting Pearls, an anthology by bestselling novelist, memoirist, and WriteAngles 2012 keynoter Ann Hood. WriteAngles 2015 panelist Cathi Hanauer will be reading from the piece she contributed to the anthology. Please come! Bring your knitting, obviously. Thanks for informing me of this event. I was once a prolific knitter and would enjoy reading the book. will try to attend. Please continue to notify me of such events.